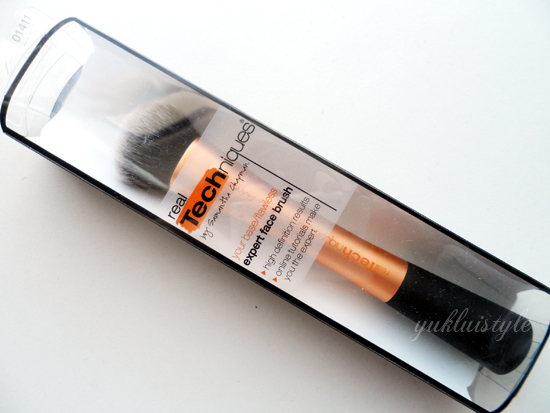 This is my first Real Techniques makeup brush. Yes I had jumped on the hype bandwagon. I had purchased this in Boots. I think that this is the only store in the UK where you can purchase in store nationwide. Please do correct me if I’m wrong. 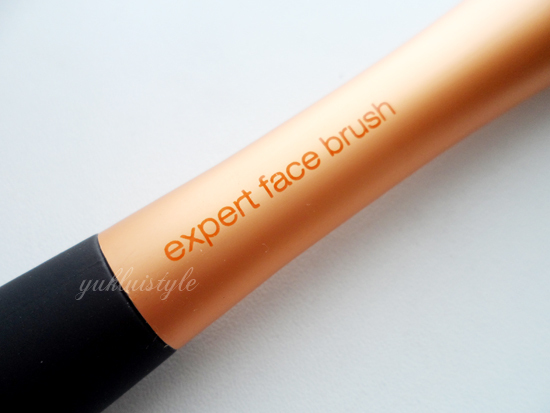 These brushes are so popular that I had to look in 3 Boots store to grab this particular brush. Since the packaging was clear, I was able to see how dense it is to suit my criteria. Took the brush out of the packaging and it was soft, so soft. This brush is densely packed, ticking off my number one criteria. Due to its density, the doesn’t soak up any of the foundation so it doesn’t waste any foundation. I didn’t have worry about how flimsy the bristles were when I used this. The problem I get with brushes I use to apply foundation, I tend to get dry skin patches from the brush abrasion, believing they were soft enough. This was the opposite. I use this to apply my Max Factor and Revlon liquid foundation and it gave me flawless, soft skin with no streaks. Didn’t emphasis any dry patches or any spot areas. So pleased. I didn’t have to add pressure when buffing in the foundation. You can get your preferred coverage, from sheer to a medium full if you know how to use this brush at its full potential. There are online tutorials to help you use this. After a few uses, you get use to it therefore can work fast enough and yet still have an amazing result. I did find that I do use less foundation that I usually would. 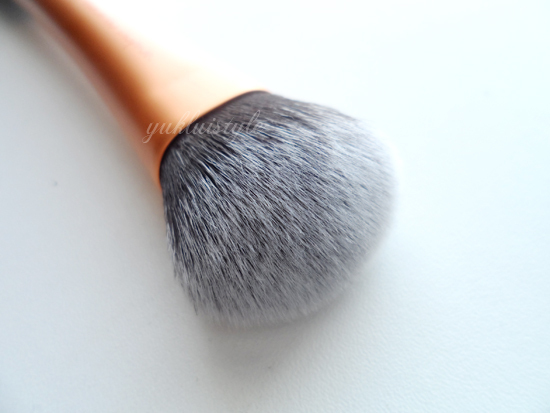 With this brush, you can use it for many purposes such as setting your foundation, contouring, applying blush etc. Can carry this around on my travels, saves filling my makeup bag with loads of different brushes. This brush is a lovely design especially the flat top so it can sit on your desk without support and especially after washing. The top third of the brush had grip. Don’t have to worry about gripping on to the brush hard and use different techniques with this. I haven’t found any shedding with this yet and I have used it since I purchased it earlier this week. With the all the hype, I did have high expectations and boy oh boy, this didn’t disappoint me. For £9.99, it is worth every penny. I can’t wait to try out the rest of the Real Technique line. 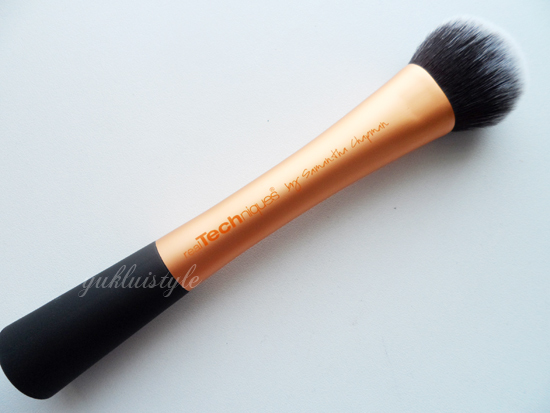 NEED to buy this, I've used so many foundation brushes/stippling brushes, that shed and shed and shed.